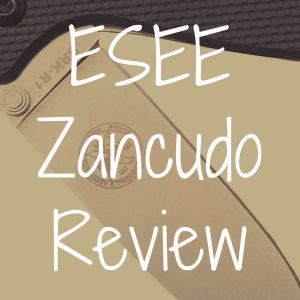 The #1 Online Resource for Knife Reviews! 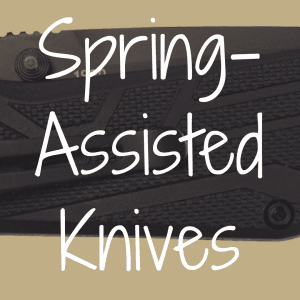 You are here: Home / Pocket Knife / Beginner Whittling Knife Guide: What’s the Best Blade? Beginner Whittling Knife Guide: What’s the Best Blade? Whether you plan on sitting out on a cabin porch and turning a stick into shavings as the sun sets on the fishing lake, or standing at the bench of your workshop putting the details on a near-finished hand-carved ash wood soup ladle, you want a knife that is more than just a tool. You want a knife that feels like an extension of your intent to merge your creativity into the very fibers of the wood before you. Whittling should always be a joy rather than a chore. In this article, we will look at some of the best whittling knives on the market. In addition to the functionality and feel of a whittling knife, you might also want to consider the look of the knife and how it impacts you. Do you like the knife? Does that even matter to you? Do you want it to be a knife you cary around with you, or one that you keep aside just for whittling? 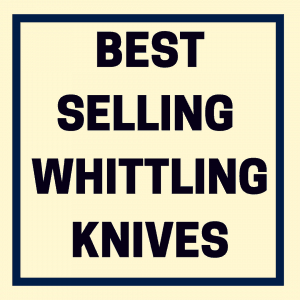 And below, please take a look at our interactive guide and compare some of the more popular whittling knives against one another based on price, blade length, steel, and more. The most important characteristics of a good whittling knife are that the blade should be relatively thin, very sharp, and in a stable geometry that allows good control in various grip positions. Generally speaking, we want a blade without too much “belly” (the rounded portion of the edge) but rather a nice length of flat straight cutting surface. The steel is not such a major consideration for whittling, though you don’t want a steel that’s too hard because the edge could chip when you are gouging out (remember that hardness is not the same as toughness when it comes to steel — generally harder steels are less tough, meaning less able to handle torsion and pressures across the edge). Folding versus fixed for a whittler is a matter of taste. For many, the traditional appeal of the slipjoint folding whittler knife is a necessary part of the whittling experience. Others might be more focused on the product than the experience, or on knife safety. They might be more inclined to go to a fixed blade knife for better handling and less chance of accidental closing of the blade on the fingers! Either way is fine. Whittling should always be a careful and conscious act anyway — a meditation with wood and steel, whether with a pocket knife or fixed blade. Below, here are five whittling knives that we really like (and a few details of how well they stack up to other quality whittling knives, as well). We will start with a fixed blade knife, the Mora Wood Carving Knife 106. Morakniv is a Swedish company known for making high quality, highly functional knives at very low costs. They use good steel (whether high carbon or stainless) and straight-forward designs, and the Carving Knife 106 is no different. This one sports a 3.2” long thin laminated carbon steel blade, with an oiled birch handle. Though much of their own literature refers to this knife having a “full tang,” it is really more of a rat tail tang, extending the full length of the handle but narrowing as it goes, yet still providing excellent strength and control. The wooden handle has a simple rounded barrel design that fits comfortably in the hand and provides stability whether shaving away large slivers or working small details. Available online for about $24, this is a great wood carver for a variety of tasks. It will make whittling a joy, with smooth even cuts and a hand free of hot spots. You can read our article entitled What’s the Best Mora Knife here. But maybe you just really want to whittle with a knife that’s been warming in your pocket? If so, then you can pull out your Case Cutlery Seahorse and sit back for a pleasant time whittling soft or hardwood with its variety of blades perfect for rough or detail work. This folding knife has a 2 3/8” Wharncliffe blade, and 1 1/2” pen and coping blades. The Wharncliffe is a preferred style for whittling because of its flat edge and strong point, and with the addition of the smaller blades for finer detail, this is an excellent tool for shaping wood. 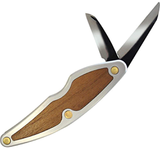 It is a classic folder in a dog leg shape with a variety of handle scale materials. The blades are Tru-Sharp stainless steel. This knife has long been a favorite for whittlers. Plus, the Wharncliffe blade makes a useful cutter for everyday purposes as well. It runs for about $70 online. Our next pick is the TUSK from Bark River Knives. This is another Wharncliffe style blade, but this time on a fixed blade knife. Just as the Seahorse is useful outside of whittling tasks, the TUSK too is a useful blade, as well as an excellent whittler. In fact, T.U.S.K. is an acronym for Totally Useful Small Knife (cute, I know). Bark River is known for high quality craftsmanship and high quality steel. This carver of theirs is a beauty, with micarta handle scales (in a variety of colors) and A2 high carbon steel coming in at about 59-60 HRC. With a blade length a little over 4” and a well shaped handle at about 4 1/2”, this knife offers unbeatable comfort and control, with a tough and hard blade. Though the blade is a little large in the whittling tradition, this is more than made-up for by the grace and power of the design. Bark River knives are pricy, and this one comes in around $200 and though not available everywhere, it can still be found on a number of premium blade sites. Though it’s an expensive carbon steel knife, it is one you are sure to love and will bring joy to your whittling from the moment it comes out of the sheath to the moment you oil it and set it back down. 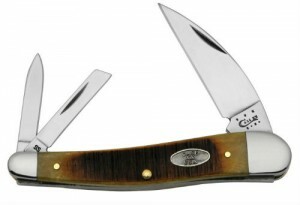 For another classic slip joint knife, there’s the Boker 115465 Carver’s Congress Whittler Pocket Knife. Similar to the Case Seahorse, the Boker Carver’s Congress (named for the way the blades fit together — in “congress”) has 4 blades instead of three: larger sheepsfoot and spey blades, and smaller pen and coping blades. This variety can be very useful in whittling details. The “sheepsfoot” blade is essentially the same as a Wharncliffe, with a spine that curves down to a straight edge with no belly (it just comes down more rounded than pointed). Again, it’s a style with great edge control. The spey blade (named for its original intended use of spaying animals) has a rounded end. This can be really useful when working in deep inset curves or bowl cuts. The overall design is interesting, in a sort of reverse canoe fashion (the back of the knife curves inward rather than outward). Some dislike this design for carving, others like it. It is perhaps a personal preference. It is surely a knife that will feel good when you pull it out of your pocket and click open a blade. It’s about $63 online. Lastly, I would feel remiss without adding the Flexcut Detail knife. Flexcut offers a range of great carving and whittling tools, and this blade is a favorite. This is not a utility knife. It is for whittling and carving specifically. The blade is just 1 1/2” long with a straight edge. The blade, as the company name suggests, is somewhat flexible spring steel and comes razor sharp. The handle is a very ergonomic shape in ash wood. It’s not designed to look nice, just to work. And work it does! The Flexcut Detail Knife is a perfect tool for the job. Also, available online for about $18, it’s a price that makes it almost impossible not to buy if you are interested in whittling. 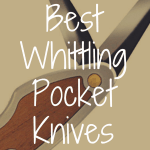 These are just a few top picks for a whittling knife. 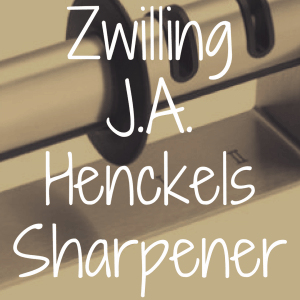 Of course, the best knife for whittling is always going to be the one that you like the most. Remember that whittling is usually less about means to an end as it is about enjoying the experience, so when you are trying to choose a knife to work your wood, think about what it is that you really want from the experience. If the real joy for you comes from a cleverly crafted end-product, you might want to go with a blade like the Flexcut Detail Knife or Morakniv Wood Carver. If your joy comes more from the act itself, and you might not even have a specific product in mind at all, you might prefer a Case Seahorse or Boker Carver. If you frequently carry a knife anyway, or are planning on a trek or big camping trip and know you will want to whittle during your trip, consider the Bark River TUSK as a great all-around knife as well as a great whittler. If you enjoyed this article, please “like” us on Facebook today! What’s the Best Pocket Knife for Whittling? Guide to Wood Working Pocket Knives: Which is the Best? What’s the Best Carbon Steel Knife? 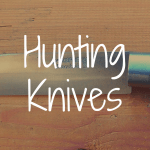 What are the Best Hunting Knives for Deer? 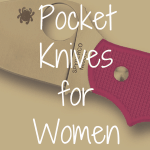 What Are the Best Pocket Knives for Women?